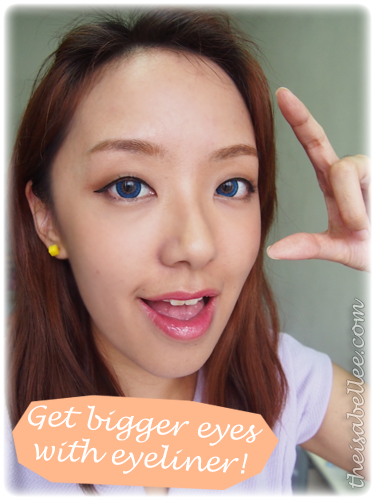 Always on the lookout for more liquid eyeliners cos they're my staple makeup product! 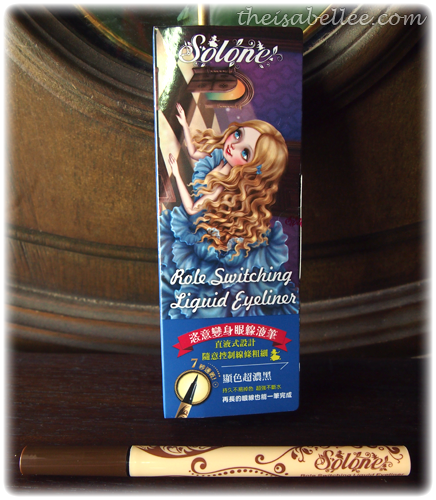 Today's brand is Solone~ Love the packaging from their latest Alice in Wonderland series! Unlike my other brush type liners, this one has a felt tip similar to the Cyber Colors one except Solone has a softer tip. It's easier to control if you have shaky hands but doesn't quite bend for the wing like brushes. The colour comes out solid black and the felt tip can create thin to fat lines. If you're into crisp black lines, this is for you. 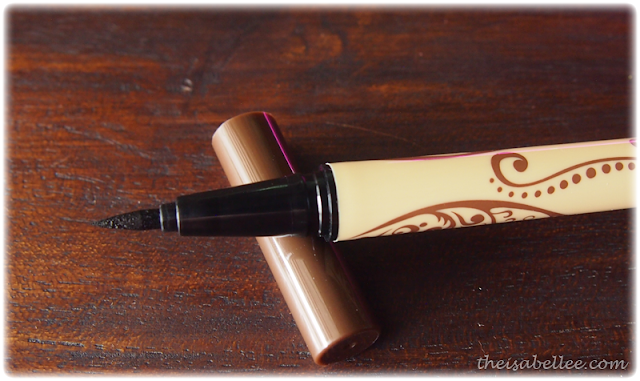 However, I do prefer brown eyeliners nowadays so I'm waiting for the Brown version to come out! 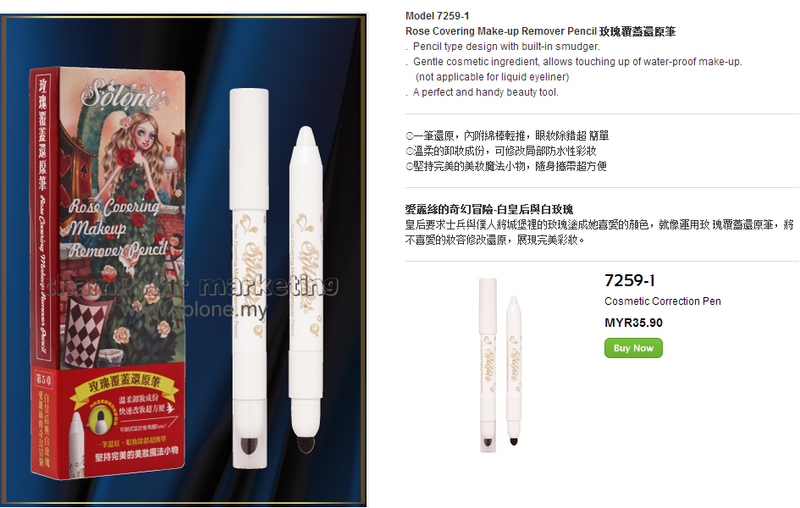 ^_^ At RM 35.90, it's cheaper than a lot of liquid eyeliners out there. I also saw this interesting makeup remover from Solone. I tested it and it works too! Omg...its such a black eyeliner! 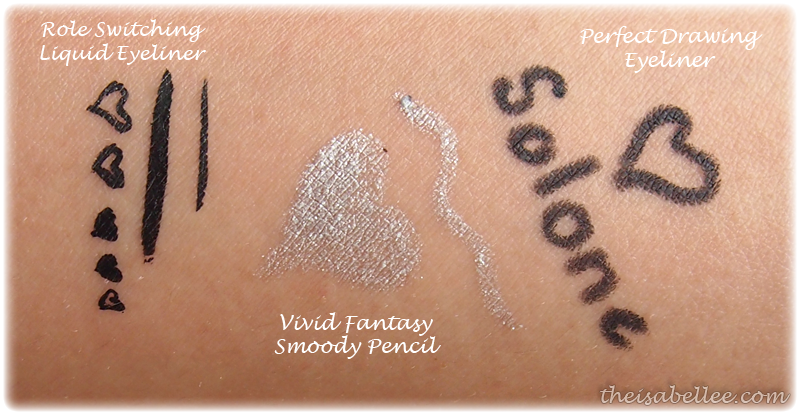 I saw the colored eyeliners in store and swatched them! Even after having a shower they were still all on! So good! I may pick up one soon! It's really hard to believe, but we can not deny this is. We thsu are reading this information, thank you very much.